LEROY MERLIN, a leading home improvement retailer in Europe and the third largest in the world, opened its first store on the African continent in Edenvale, Gauteng. 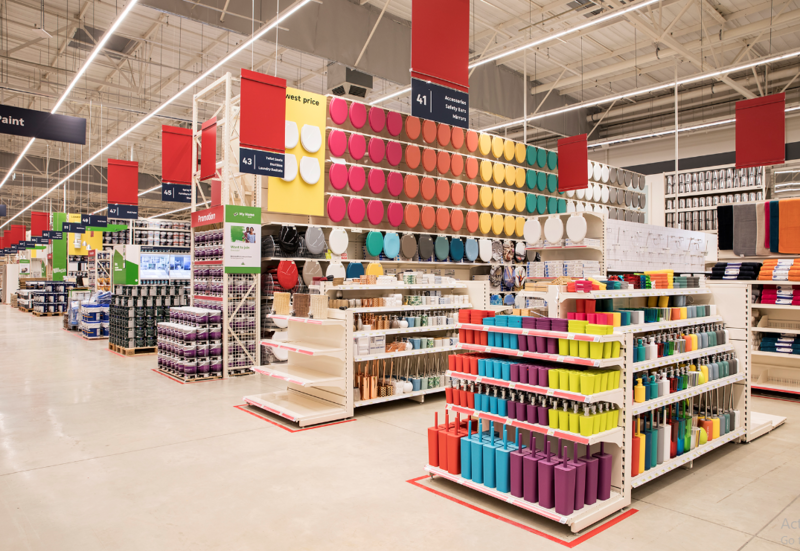 The company, which is part of ADEO and has a presence in 14 countries, will offer a brand new home improvement experience to the South African DIY retail market. The new store is located in the Stoneridge Centre in Greenstone Hill and has a total surface area of 17 000m² showcasing everything from tools and home décor products to construction materials. The company boasts that it can offer customers everything they need to build their dream home, with departments such as bathroom, kitchen, home decor, garden, hardware, electrical, carpentry, plumbing, tools, fix&fasten, storage and lighting. Of the products on offer, 40% are imported from Europe, while leading local brands and other top internationally sourced items will also be on display. LEROY MERLIN offers shoppers showrooms to inspire and infographics to better understand how to choose and how to install products. There is also free WiFi in store, a ‘click-and-collect’ feature that enables customers to shop online and collect their products in store within two hours, a price guarantee, a three month easy return policy, express delivery and lay-by options. The company has partnerships with KANDUA, which recommends qualified contractors for various projects, and Coastal Hire for all tool hiring requirements. Just over a year ago, the company started an active Workshop Fan Group of enthusiastic DIYers where they connect a few times a week to create and share their passion with one another. Due to the success of the workshops, LEROY MERLIN will be hosting daily workshops when the store opens. For more information, contact LEROY MERLIN via www.leroymerlin.co.za.